A lot of power for those with planets in the early degrees of air signs. 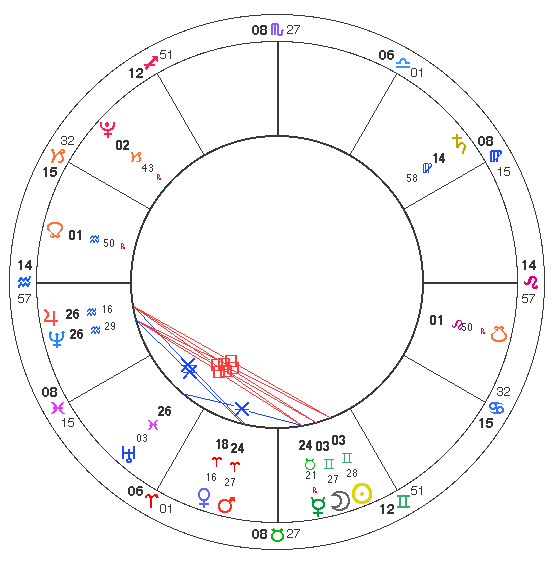 This new moon at 3 Gemini energizes the North Node at nearly 2 degrees Aquarius, forcing a group breaking free or moving into new territory to discuss and cogitate on the nature of change, communication and what is odd or eccentric. If you have a 2-3 degree air watch for amusing offbeat events or get-togethers. Fire be warned – this is not a configuration that suits “me me me”! Enquire about others, listen in groups, you don’t have to always shine. The same degree planets in earth and water will experience something between Fire’s disappointment at not being the centre of attention, and Air’s amusement at the oddness of it all. All of this is building up to the spectacular Jupiter/Neptune conjunction in a few days time. click chart for larger version.